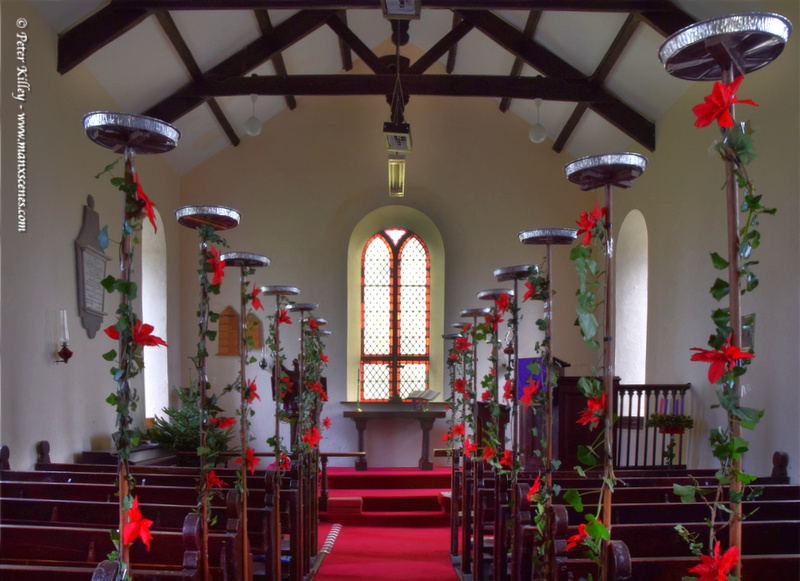 Looking very Christmassy at this lovely old Church in Ballaugh today. I do like the decoration. It’s so simple and yet so effective, particularly with the bright scarlet carpet. I know its another week yet, but a Happy Christmas to everyone. I know you have had a terrible year but Nollick Ghennal as Blein Vie Noa. All the best for 2016 to you and your family.